In order to achieve health equity, it is crucial to center community voice and participation, along with data, for lasting and meaningful change. We’ve created a list of tools, tips, and resources to support you in applying the findings of our report, Teen Pregnancy, Infant Mortality, and STIs: A Profile of Critical Health Inequities, to your work and community. 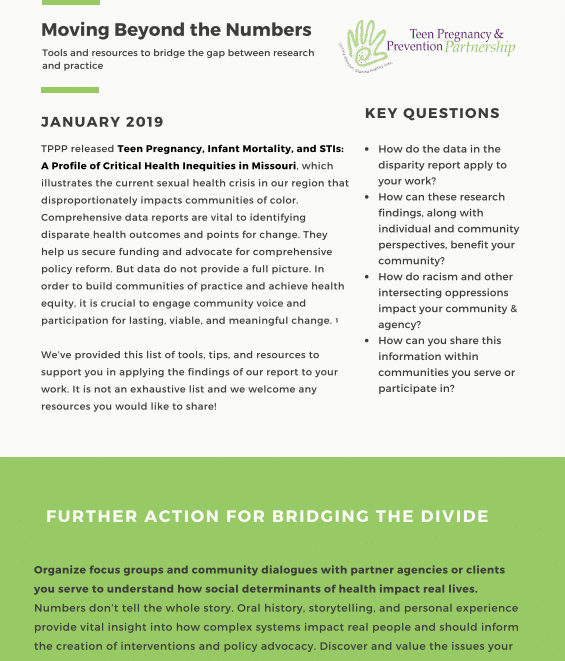 It includes key questions, local and regional resources, online toolkits, and action-guides for reducing racial health disparities and implement participatory practices. Ours is not an exhaustive list and we welcome any resources you would like to share!